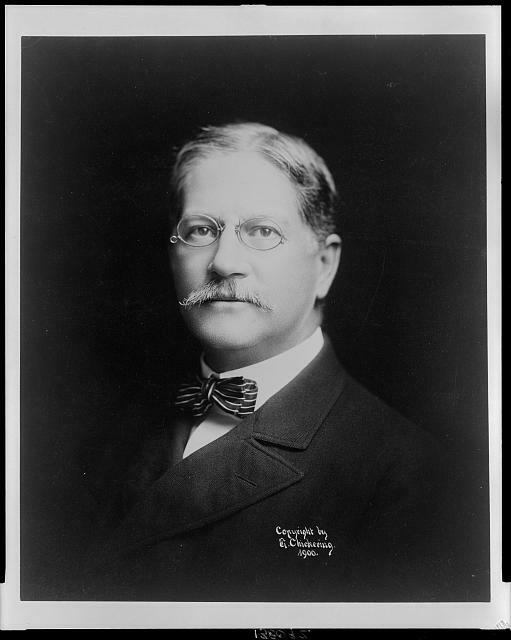 Today in Masonic History Charles Herbert Allen is born in 1848. Charles Herbert Allen was an American politician. Allen was born on April 15th, 1848 in Lowell, Massachusetts. He attended both public and private school. He would graduate from Amherst College in 1869. After graduating he went to work for his father in the family business Otis Allen and Son. It was a lumber business that created wooden boxes and sold railroad ties, housing frames, and road building materials. In 1881, Allen was elected to the Massachusetts House of Representatives, where he served two consecutive one year terms. In 1883 he served a single term in the Massachusetts State Senate. In 1884 he was elected to the United States House of Representatives and served from 1885 to 1889. In 1890 he was nominated as the Republican candidate for Governor of Massachusetts, losing in the general election. In 1897 he was appointed as the Prison Commissioner for Massachusetts. In 1898, President William McKinley appointed Allen as the assistant Secretary of the Navy. This was after fellow mason and future President of the United States Theodore Roosevelt resigned the post to serve during the Spanish-American War. After the war was over, President McKinley, appointed Allen as the first civilian Governor of Puerto Rico after it was turned over by the Spanish. Allen was highly criticized for the job he did as Governor. The income from the island, it has been stated, should have been much higher under his tenure. By the time his time as Governor was over all of the 11 members of the Governor Executive Council were U.S. expatriates and 626 of the appointive offices in the Government were held by visiting Americans. He also gave strictly no-bid contracts to American companies. He also favored American sugar plantations, ensuring that they were given preference for infrastructure improvements. Allen resigned as Governor of Puerto Rico in 1901. After returning from Puerto Rico, Allen went to work on Wall Street. There he used his contacts in Puerto Rico to build a sugar syndicate, the American Sugar Refining Company. At one point in time the company controlled 98% of the sugar processing capacity in the United States. Allen served in various positions within the the American Sugar Refining Company, also known as the Sugar Trust, from 1910 on. Today the Allen Sugar Syndicate is known as Domino Sugar. Allen passed away on April 20th, 1934. Allen was a member of William North Lodge in Lowell, Massachusetts.